Queen/ Alate. Image acquired with permission from the Oxford University Museum of Natural History, United Kingdom. 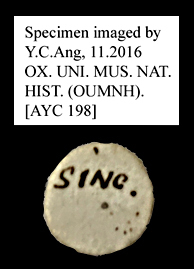 Click to see full resolution label image.